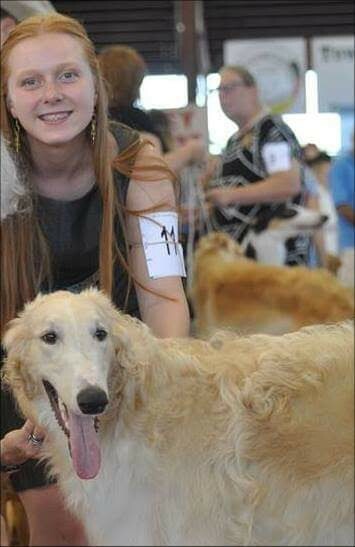 Again this year I got to spend my birthday at the Davie dog show, put on by the Fort Lauderdale Dog Club of which I am a member. 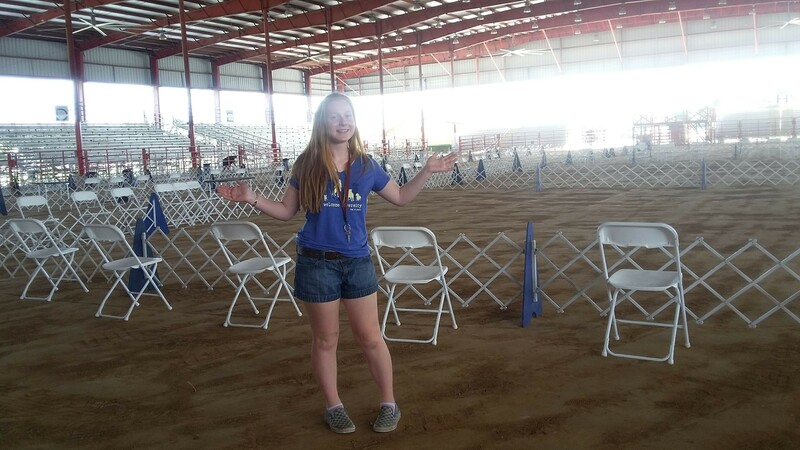 This means that members of the club have to go the day before and set up the show, arrive early each day and make sure the set up is in good shape, work the show during the day helping out with whatever needs to be done, staying late each day to clean up, and on the last day to make sure that all is as it was before the show started on the first day. It is a great deal of work. But I loved doing it. 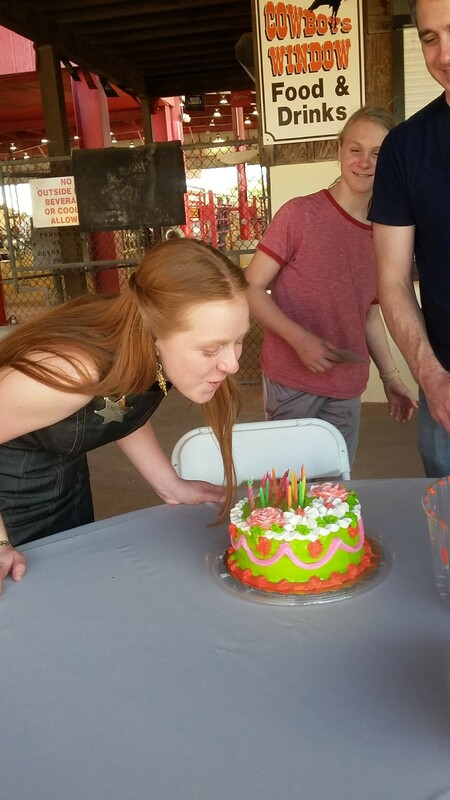 My dad brought a cake for me and they all sang Happy Birthday. It was great. 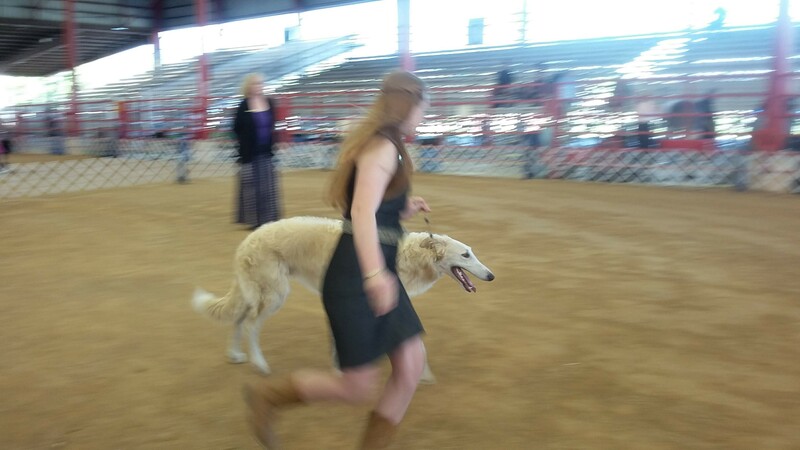 Even better was that I got to show a Borzoi, an Australian Shepherd, Carins, and a Dachshund ( for the guy that I showed the Borzoi for a couple of years ago). I could not show my own dogs because that would be a conflict of interest. So I just helped other people. 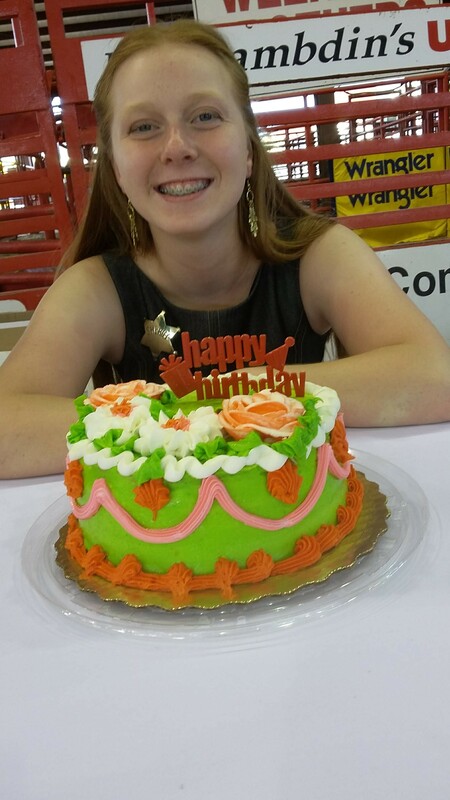 At the West Palm Beach show I had such a good time. I again showed the Aussie for my friend Sally, who by the way I will be writing a whole post about because she is amazing. And I helped out several other people showing a Brittany and a Golden, and I showed the Portuguese Water Dog that is mine. 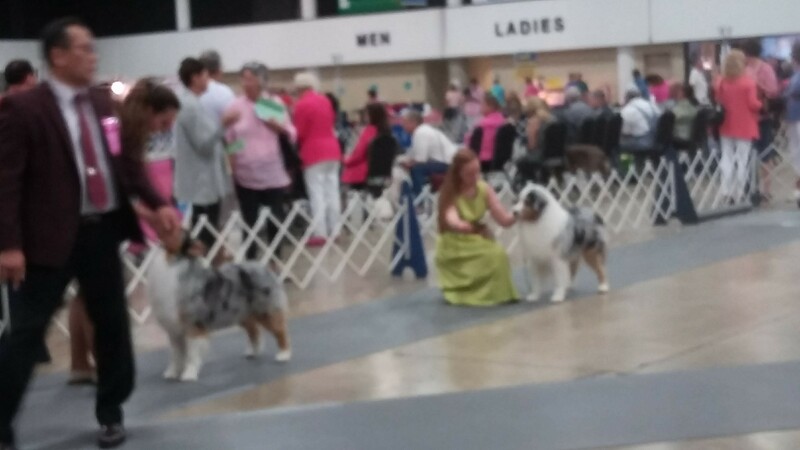 At the Brookesville show, my mother and I were in awe of the grooming/handling on a Great Pyrenese and several other dogs done by a Pro Handler. We talked about it for a long time on the way home from Brookesville. So at the WPB show we happened to be stationed right next to this person in the grooming area. I was introduced to them and was asked to show a Golden by them. I went Best of Winners and Best Opposite. 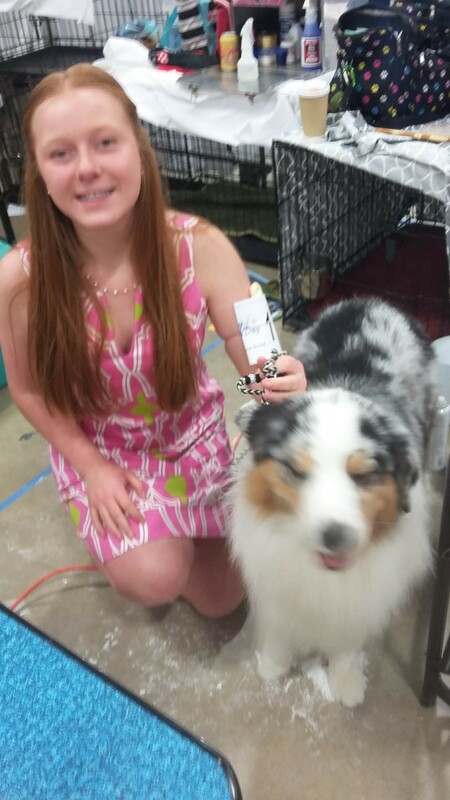 The judge, who was super nice, even complimented me on my handling skills and so did the Pro Handler afterwards. Those were such great moments. Especially, since that Pro Handler has won Westminster. 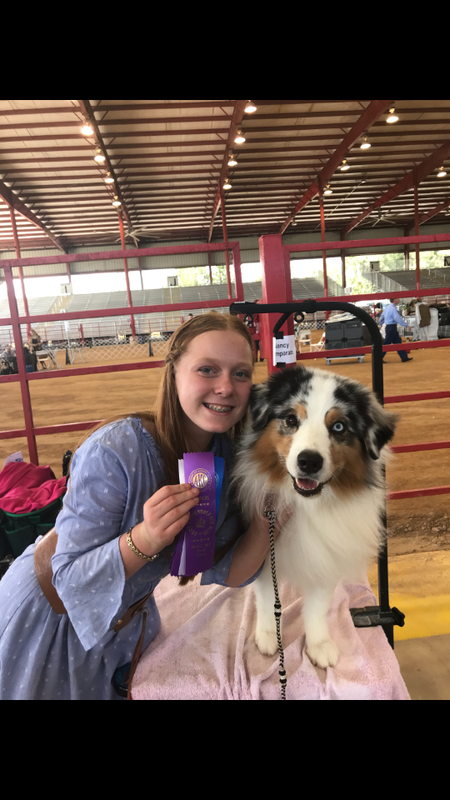 Posted in Dogs, Uncategorized and tagged aussie, australian shepherd, borzoi, brittany, brookesville, Dog, dog conformation, dog show, dogs, golden retriever, palm beach fashion, pink and green, portuguese water dog, west palm beach, west palm beach dog fanciers association. Bookmark the permalink.